McCrea’s Candies makes some of the best caramels I’ve every had. Their caramels are seriously one of my favorite things. 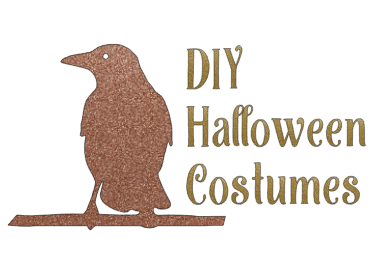 We’ve featured them time and again over on How Was Your Day for various holidays over the past few years. Now, we’re introducing the Style on Main audience to these delectable caramels. One of my fave things about McCrea’s is that they’re not afraid to experiment with flavors. Seriously. Who thought Rosemary Truffle Salted Caramels would work? Not me, but they’re one of my favorite flavors. We’re giving one lucky Style on Main reader a chance to win a McCrea’s Candies small party pack of their very own. With 40 or so pieces in 4 flavors, this is perfect for your desk at work, or a small dinner party. This giveaway is part of the Stocking Stuffer hop hosted by mommy Island and The Kids Did It. Hop on to see what other great prizes are out there. There is a Caramel-of-the-Month Club. I learned the owner, Jason McCrea, is a scientist with a background in chemistry, and an abiding appreciation for natural ingredients. They have many flavors, I would like to try some. I learned that Jason McCrea is a scientist with a background in chemistry. They use a vintage wrapping machine. They have a caramel of the month club. I learned that they were featured in USA Today. I love caramels but am terrible at making them. The Caramel of the Month Club is for me! I learned that they have a caramel of the month club. Who knew rosemary and caramel flavors would compliment each other? These sound like really yummy caramels, I think I would especially like the vanilla and deep chocolate a lot. I like the party box! I learned that the founder is a scientist with a background in chemistry. I learned that Jason McCrea is the Chief Caramel Scientist. The Caramel of the Month club looks exciting and fun. That’s so cool. I love candies. I learned about the caramel of the month club. I’d love this as a gift. They offer a salted rosemary truffle which is a new to me flavor. They are dedicated to honesty, integrity and making the best caramel in the world. I love caramels so I like that they have a caramel of the month club, I’m putting this on my wish list. I learned, everyone at McCrea’s is dedicated to the same thing making the best caramel in the world. I learned that they put rosemary in one of their candies. I learned that they sell Party Boxes in 4 flavors. I learned they have a caramel of the month club. It was started by a scientist with a background in chemistry. I was excited to learn there is a Caramel of the Month Club. I learned that Jason has sons who wanted to give gifts to their teachers (so sweet). I learned that their Party Boxes include four great flavors: Classic Vanilla, Black Lava Sea Salt, Deep Chocolate, and Tapped Maple. I learned that they are hand-crafted and created by a scientist. Now I am drooling. I saw that their site offers a CARAMEL OF THE MONTH CLUB; Each month, you or a lucky recipient will receive approximately three dozen pieces of one flavor of our luxe, handcrafted caramels. Choose from a 3 month, 6 month, or 12 month subscription plan. Our caramel connoisseurs will select a different flavor each month. Shipping charges for the duration of the subscription are included in the price. you can customize your gift with your business logo or message to maximize your brand identity! I learned that Jason cooked his first batch of caramel in his home kitchen using a wooden spoon, a few pots and pans, and a candy thermometer. I would love to try the deep chocolate flavor! I like the Caramel of the Month Club — you get approx 3 dozen caramels at cost of $289 for 12 months. I learned that they have a Chief Caramel Scientist, Jason McCrea . I love the full cinnamon clove they have available to buy! They make single malt caramels. Never heard of that before! They have Caramel of the month club! WOW. I learned that Jason is a scientist with a background in chemistry. I learned that McCrea’s Candies uses a classic wrapping machine built in Springfield, MA. 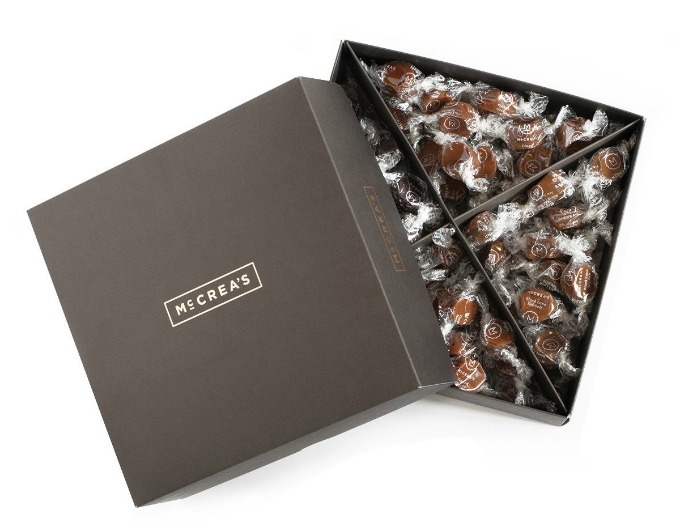 The elegant, single motor, complex set of gears cuts McCrea’s caramels just as it was designed to and turns out over one hundred cellophane-wrapped pieces per minute. I learned that Jason, the inventor, is actually a scientist! I really like their caramel of the month club option. I would love to try different kinds of caramels throughout the year. I would like the Tapped Maple Caramel. They have a caramel of the month club. It would be great to get a box every month. I like the caramel of the month. .jason, the founder, has a background in chemistry. Yum! I learned they have a “CARAMEL OF THE MONTH CLUB”. Thanks and God bless! I like that the party box comes with four flavors including Black Lava Sea Salt and Deep Chocolate. I like the Cinnamon Clove. Made using the finest salts, spirits and seasonings. Award winning too. I’d love to be a part of the caramel of the month box! OHMYGOODNESS, they have a caramel of the month club! That is awesome and i love that. They had me at caramel of the month club.